Harvesting castings has always been tricky in a condo… Most online posts suggests dumping everything out and sorting through to remove the worms and well… That’s not really an option in a small space like a condo. Up until recently I’d been shining a light on the bin and grabbing a few spoonfuls at a time and mixing with water to make worm tea. And that’s fine for indoor plants but in the summer I grow a lot on my balcony and it’s a bit slow and tedious and after 5 years of re-using the soil I think my soil needed a little more of a pick me up then the occasional worm tea hit. So for now I’ve opted for a colander with compost (worms and all) over a container to collect the worm tea. Slowly add water and move around as needed to let it drain. The worms seem fine even when a few dropped through and sat in water over multiple refills. I imagine it’d be like a heavy rain storm when the worms come out of the ground and sometimes end up in a puddle for a bit. Put the compost remains with worms back in your bin or in a new bin. I placed some in my outdoor bin which always tends to dry out so the watery compost was a great addition. I didn’t even let it drain completely. Outdoors, I used a big bucket and added a lot more compost. Indoors I used a smaller watering pail and only added about 1/4 cup of compost. 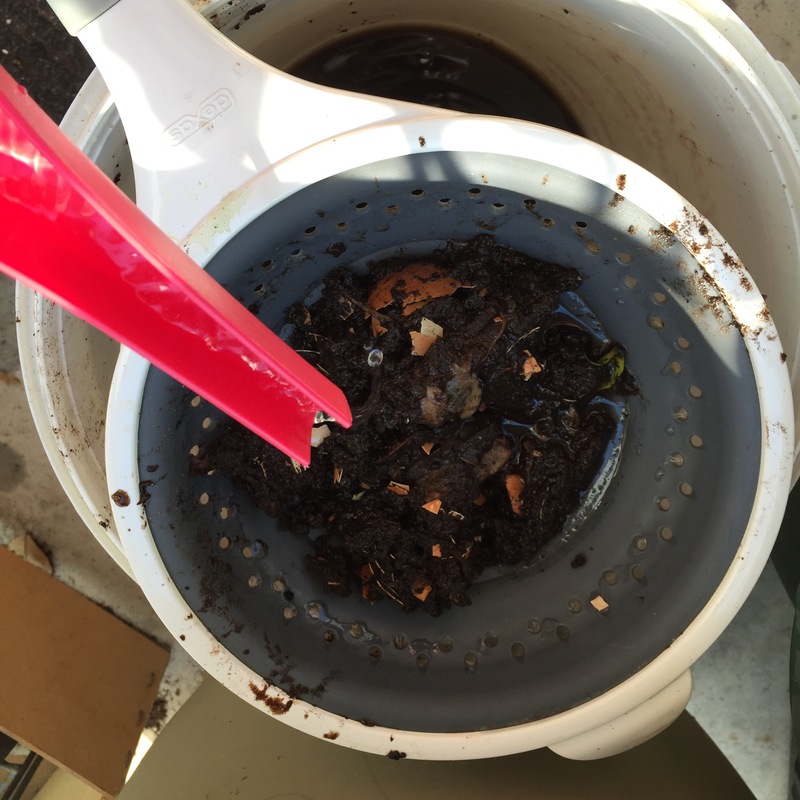 I loaded the compost for the outdoor plants and when I watered the plants there was a rich layer of compost on top. I imagined this might be what a layer of silt looked like that used to run off the Nile into Eygpt. 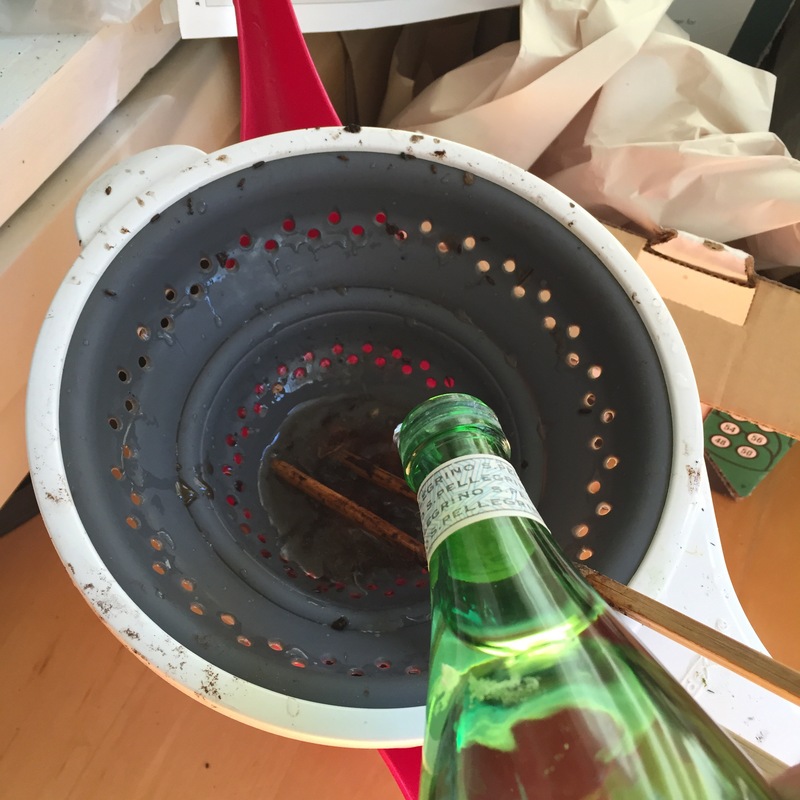 Btw I don’t feed my worms San Pellegrino, I just happened to use it to bring water to the pitcher but you could just as easily bring the pitcher to the sink. With over 10 years experience in changing consumer behaviour and digital marketing and working on everything from a multi-million dollar e-commerce site to the Canadian Government website in Taipei, SustainableMrk understands digital strategy is more than just a flashy website. Our team works with your business to provide the best, sustainable, self-managed, online marketing strategies, setup, and training for your website, social media, email, video, search optimization, e-commerce to fit your needs and budget.